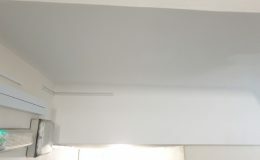 This particular job was phoned into the Rapid Response team around lunchtime, and within a couple of hours we had an experienced plumber and electrician on site! 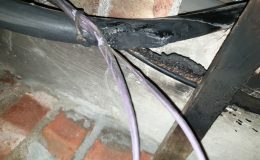 The client required urgent attendance following a severe water leak caused by fire damage! As well as the main communal door failing and smoke vent system alarming! 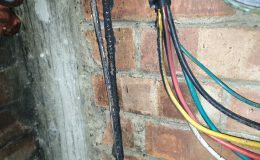 Once on site, we established that there had been a fire within the meter/electrical cupboard and that the flames had spread over to the water mains and unfortunately, melted all the couplings to the stop taps across 6 flats within the building. 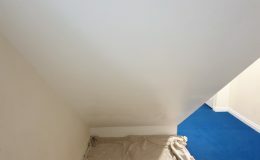 To prevent any further devasting leaks, we immediately isolated the 6 flats from the main water supply. 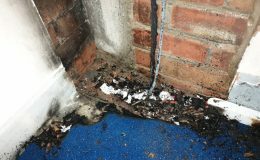 Due to the fire, the smoke vent panel system had launched into ‘fault mode’ causing the building alarm to sound and the windows to open. 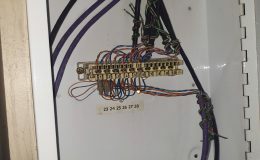 The system required resetting to allow the alarm to stop and automatic windows to close. The Rapid Response Maintenance team returned a day later to carry out all plumbing works required. 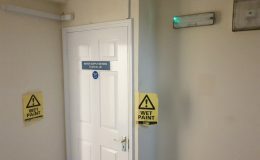 We cut an access point in the communal wall to allow access further along to the pipework that had suffered fire damage. 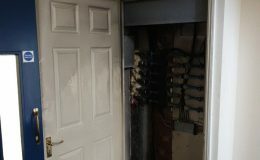 Once access was acquired, we safely removed the fire damaged pipework and replaced it with 6 new pipes and couplings, one for each flat affected. 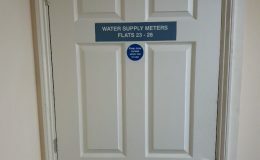 Upon completion, we tested to confirm all flats had running water and no further leaks were present! 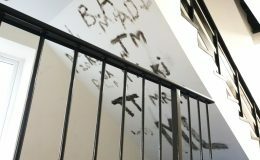 To finish the job, we also attended 2 days later to carry out the remedial works following the fire damage, as well as cleaning and painting the fire damaged door and frame, plus a patch of graffiti on the ceiling of the communal area. It was of great importance that we resolved our client’s problem quickly due to 6 flats within the building having to be rehoused for a day due to no running water in the property. We were pleased to finish quickly, to a high standard, to ensure they could return home and to deliver on the Rapid Response Maintenance promise to the client. “I think I speak for both myself and my colleague when I say we have been extremely impressed with the service provided. 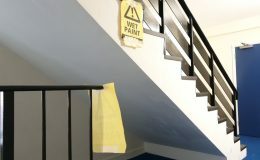 We have found Rapid Response Maintenance’s response time to be excellent, and the costing of works very reasonable. I honestly doubt we would have had this issue resolved so quickly had we chosen to use another company.